This is a cozy room, furnished with a substantial antique brass bed and hardwood floor. The ‘mission oak’ dresser, chairs, and round table are styled for comfort with a turn-of-the-century air. A large window overlooks the trees of the back yard, away from city sounds. 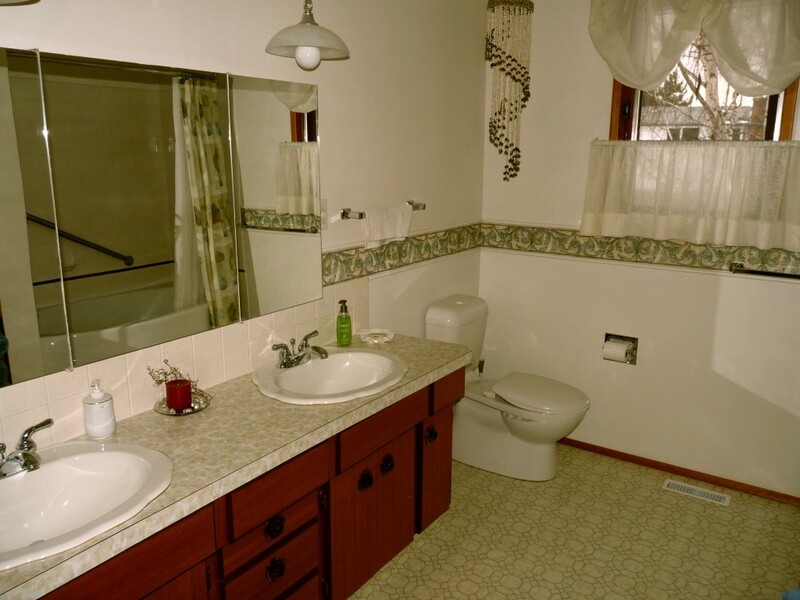 The large bathroom is right next door; there is a vanity sink in the bedroom for convenience.